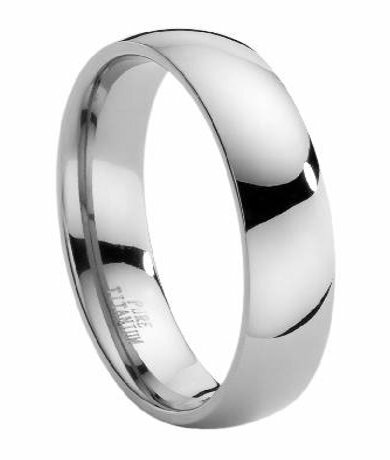 Men who like the look of a classic domed wedding ring will love this shiny titanium wedding band. 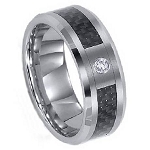 Made from aircraft grade titanium, it is one of our best selling men's titanium wedding bands. 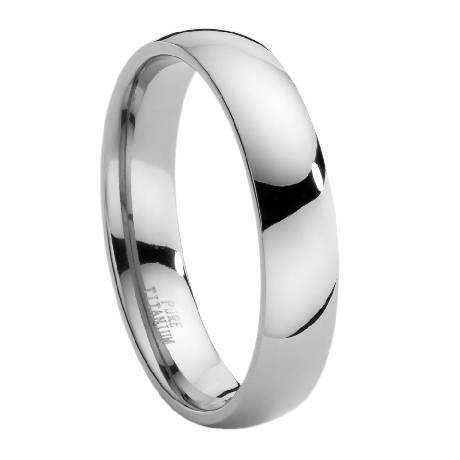 This ring is 6 mm wide and has a polished domed profile. It also has a Comfort-fit design, which means the inner edges of the band are curved for an effortless fit. I bought this as a replacement for my original, much more expensive wedding ring which I lost in the ocean (cliche, I know). I like this one better. It's classic, glossy, lightweight and practical (since there are no squared off edges to catch on things). It shipped right away and because of its price point, there was no duty or taxes to Canada, as there would have been on a more expensive ring. I got this ring for my husband to wear to the gym and when he is sailing... basically a workout wedding band because he was worried he would lose his platinum band (which happened once before in the ocean). He loves the light weight and it was a perfect fit! For the price, it can't be beat! Also, the shipping was very quick. Our ring was perfect. Lightweight, strong, and incredibly durable. My fiancé is very happy! Shipping was also super fast! Great item and perfect fit.